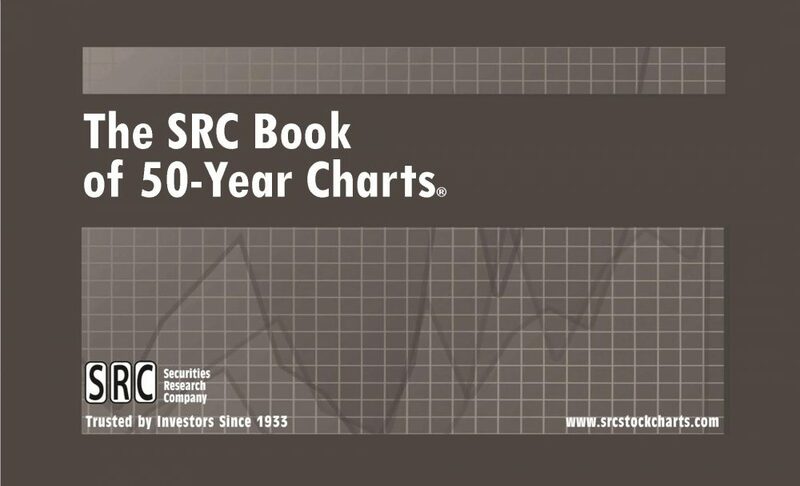 The 2019 annual edition of the SRC Book of 50-Year Charts covers nearly 700 companies – with each chart is on its own 8.5″ x 14″ (full-size) page. Each chart provides a clear view of fundamental performance including: price, earnings & dividend growth since 1969. Plus full online access to SRC Long-Term Chart Service spanning 25 to 50 years – giving you the longest fundamental stock performance. 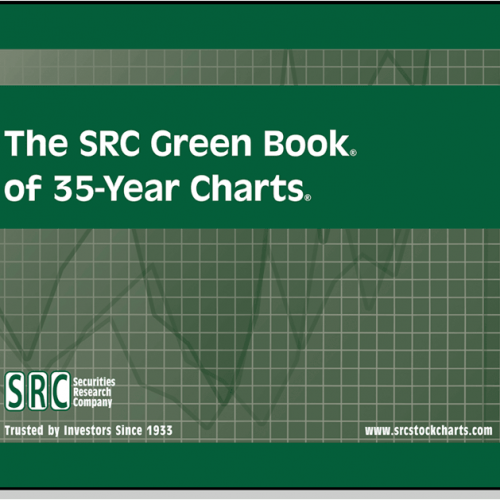 The 2019 annual edition of the SRC Book of 50-Year Charts covers nearly 700 companies – with each chart is on its own 8.5″ x 14″ (full-size) page. Each chart provides a clear view of fundamental performance including: price, earnings & dividend growth since 1968. See how each stock fared through the last eight recession and expansion periods. The online service starts with your purchase. The 2019 print edition ships early March 2019. The 2019 SRC Book of 50-Year Charts in the two volumes, print edition. Download the Index.